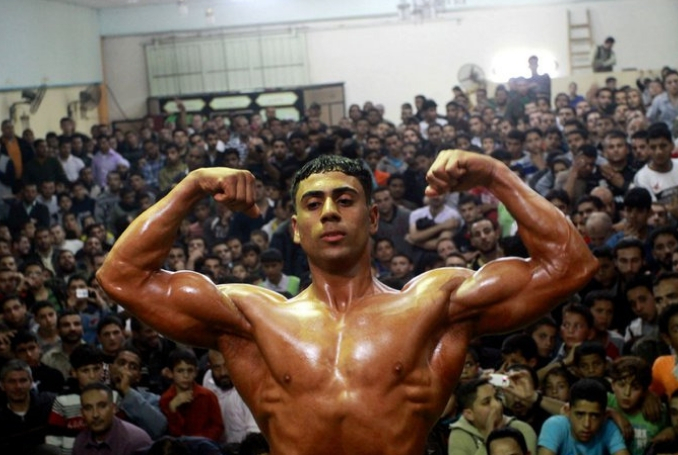 As thousands of Palestinians gathered at the border with Israel for a new weekly protest last Friday, hundreds of others packed a sports hall in Gaza City for a different type of gathering — a bodybuilding competition. “I tried despite the difficulties and tragic circumstances, whether social or economic, to continue with this sport until I achieved my goal,” said Hamdi Wadi, who was working out backstage to pump up his muscles before appearing before the jury. Be the first to comment on "Gaza Athletes Find Escape in Bodybuilding Competition #Palestine #GroupPalestine #israelTerrorists #boycottIsrael"